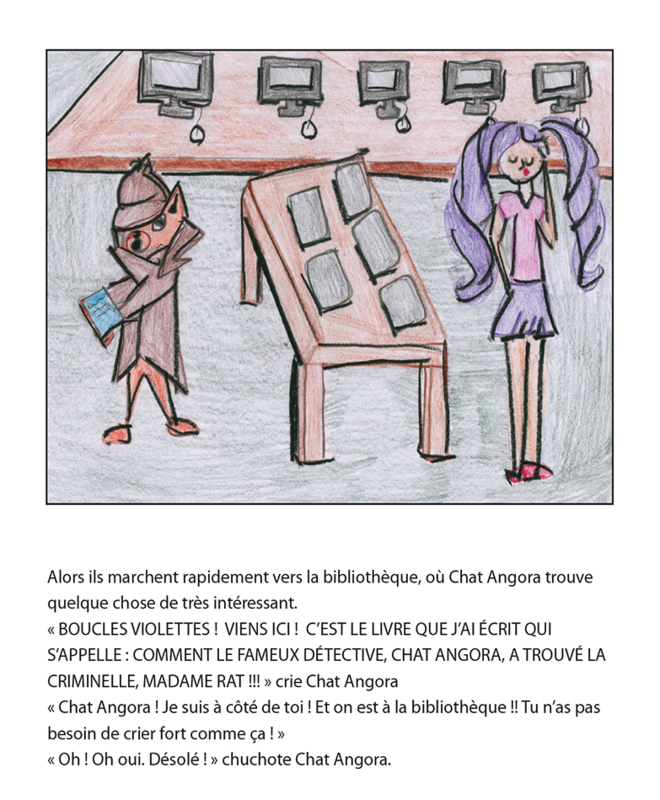 Chat Angora, the well-known detective from our Step 4 kit, is on the trail of a new criminal! 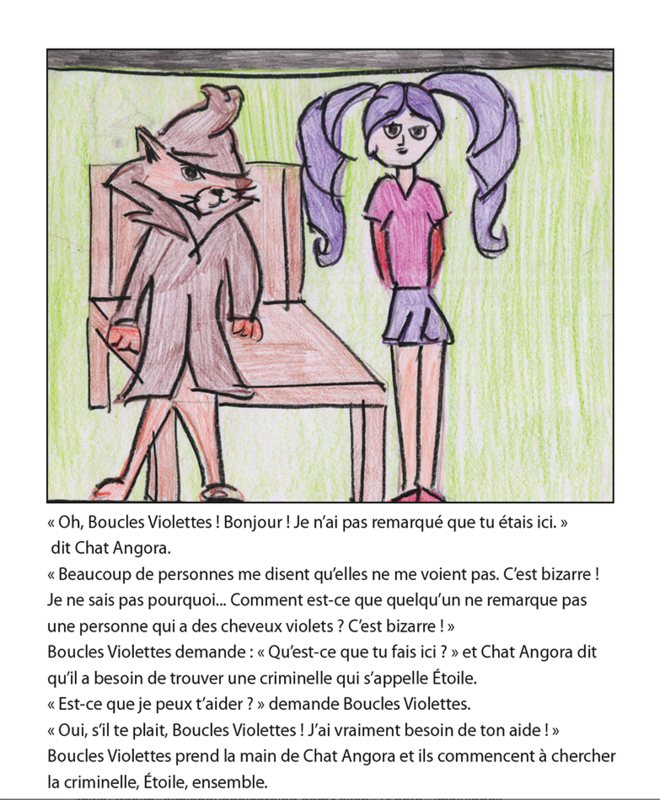 This time, he has an assistant to help - it is Boucles Violettes, the main character of our Step 2 kit! As you read this adventure, try to guess where the criminal is hiding. 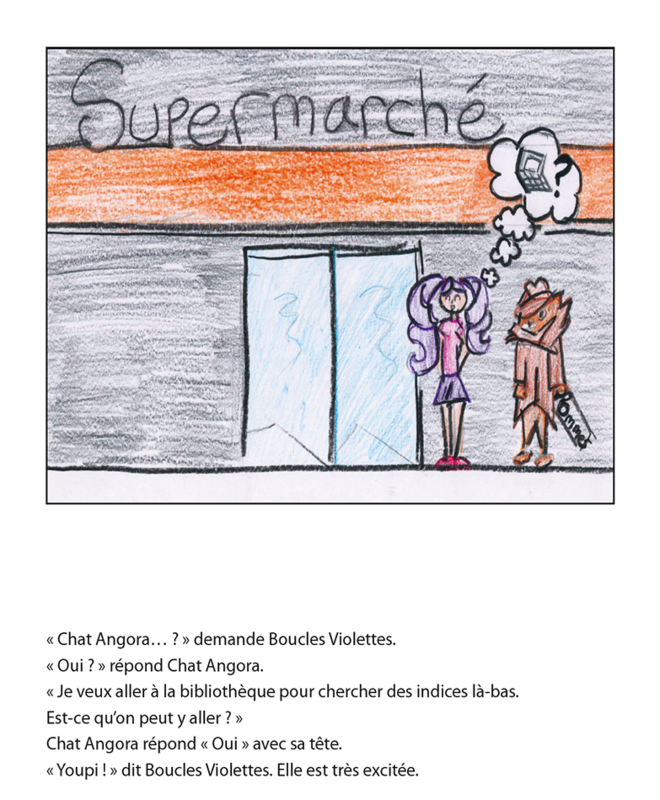 You will probably understand the clues before Chat Angora...you will definitely laugh at the antics! 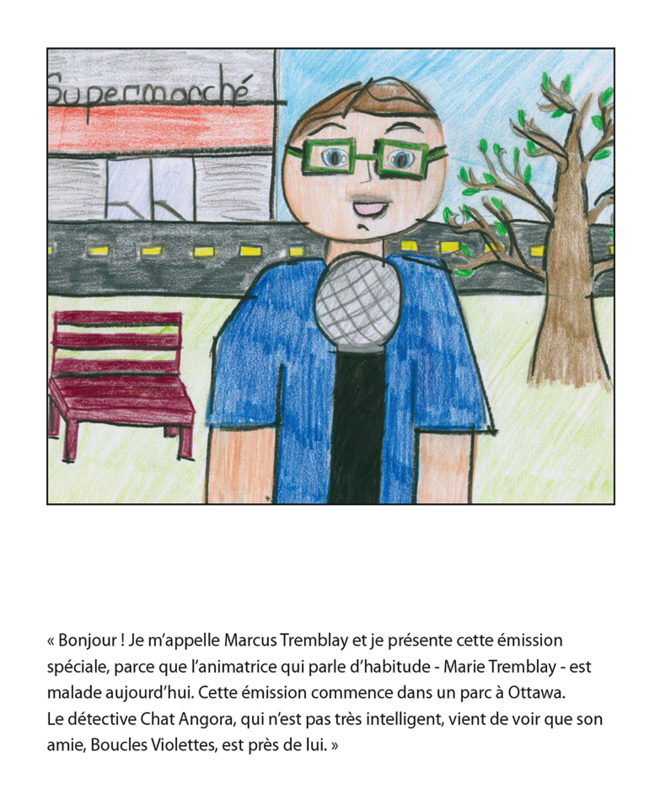 This story was a winner of the AIM Language Learning Student Publishing Contest.